The Arkansas House of Representatives passed the bill with 91 total "yes" votes. 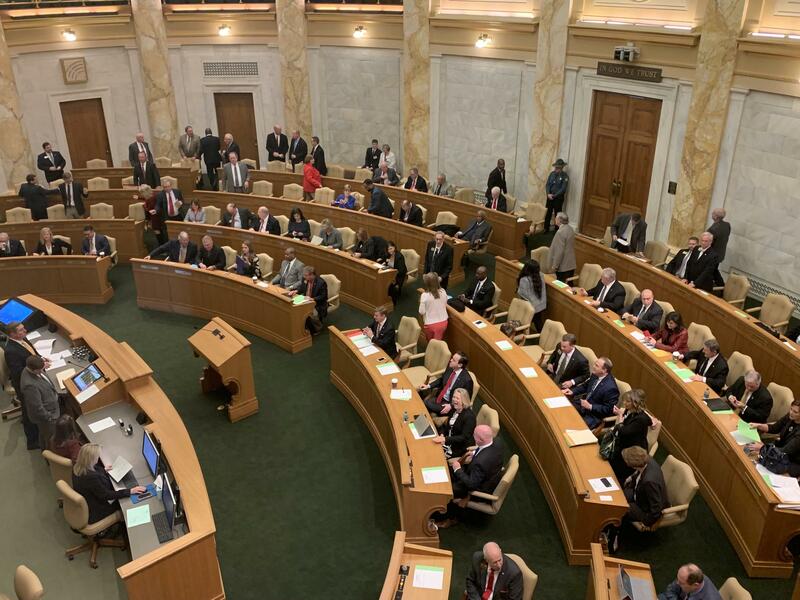 A bill that would raise the Arkansas teacher salary schedule by roughly $1000 a year for four years passed the state House of Representatives on Thursday. Sponsored by more than 90 House members, HB-1145 increases the minimum teacher pay rate from the current $31,400 to $36,000 by the 2022-2023 school year. According to Rep. Bruce Cozart, R-Hot Springs, the chair of the House Education Committee and one of the bill’s sponsors, 168 schools would be affected by this legislation, while 67 would not receive funding because they already pay their teachers at or above the eventual minimum. The total impact of this bill would be $60 million. Funding for the first four years would come out of a surplus from the state’s educational adequacy fund, which is primarily tax funded. When the bill was in committee, representatives had questions on how the raises would be funded after the initial four years. On the House floor Thursday, Cozart said the Joint Education Committee, which works on the educational adequacy budget, will continue to work each year to fully fund the new salary rates. He said the committee funded teacher salaries at a 2 percent rating last year, which was more than it had done before. "That money will be coming forth in this next session which starts this July, and that will be money that will help them to be able to fund this down the road," Cozart said. "Then we meet again and we’ll be able to add more money in there for our teachers to keep our schools where they’re not going to go in the hole over funding $4,000 and not being able to meet that in four years. So, we have a plan. If you hear from your superintendent, we have a plan." Rep. Gayla McKenzie, R-Gravette, spoke in favor of the bill on the floor. While she was not one of the representatives who sponsored the legislation, she said it is a start to help schools that are underfunded and lose teachers to other schools who pay higher salaries. She mentioned Decatur, Arkansas, a town in her district, as an area that has trouble retaining educators. "Little Decatur is having a hard time. They get some good teachers and we’ve got school districts all around them that can steal them just like that. So I’m supporting this bill because we’re helping. We’re helping Decatur," McKenzie said. However, she also said the state needs to continue evaluating how it spends on education overall and how legislators can help schools more. "I really want to urge us to come back and address this and I know we’re going to, but I think that’s a big problem if we’re going to provide an adequate education for all of these kids in this state," McKenzie said. The bill received bipartisan support with 91 "yes" votes and zero "no" votes. It now will head to the Senate Education Committee.